Gung hay fat choy! It’s Chinese New Year… but it’s not just Chinese New Year. It’s also lunar New Year in many other countries including Singapore and Malaysia, which inspired tonight’s meal. 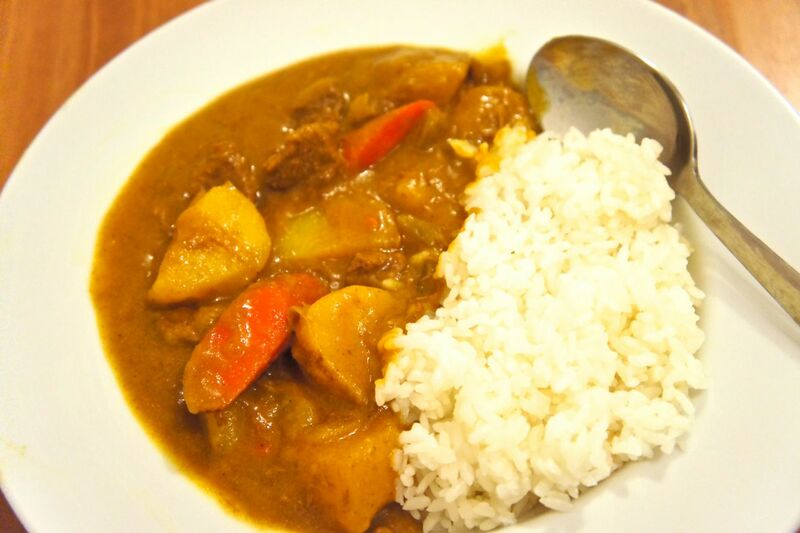 Curry is one of Japan’s great comfort foods. Does that sound strange? I know curry is normally associated with South and Southeast Asia. Japanese cuisine, by contrast, doesn’t tend to use a lot of spices, especially not curry-like spices. 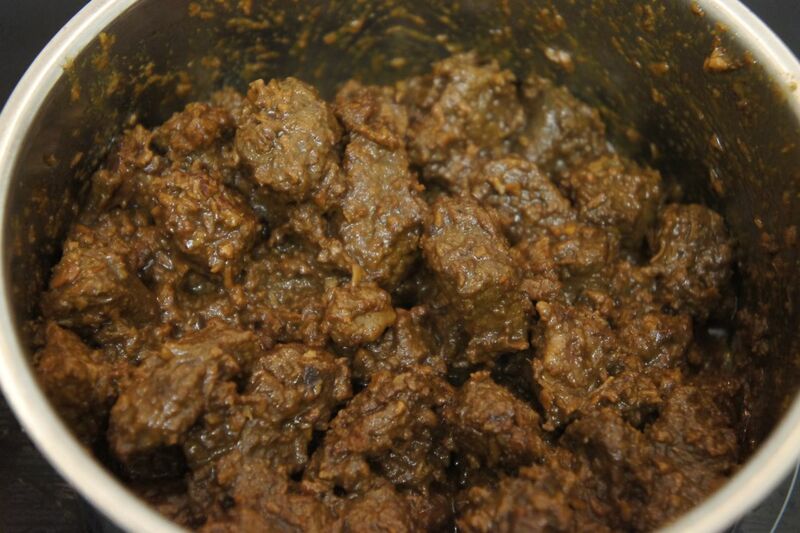 Also, while I love Indian brinjal curry, red Thai curry, Malaysian penang curry, etc., they’re not foods I would want to curl up with on the couch on a cold winter’s day or eat by a campfire while camping. When I lived in Toronto years ago, my place was right near an Afghan restaurant where the stars of the menu were kebabs, mantu dumplings with yogurt sauce, bolani stuffed flatbread, and kabuli pulao, a biryani-like rice and meat dish. I alternated between the mains but I usually ended up also getting a spinach side dish. I liked it but once I moved away from the area, I didn’t think about it again until I decided to make Afghan food last weekend. 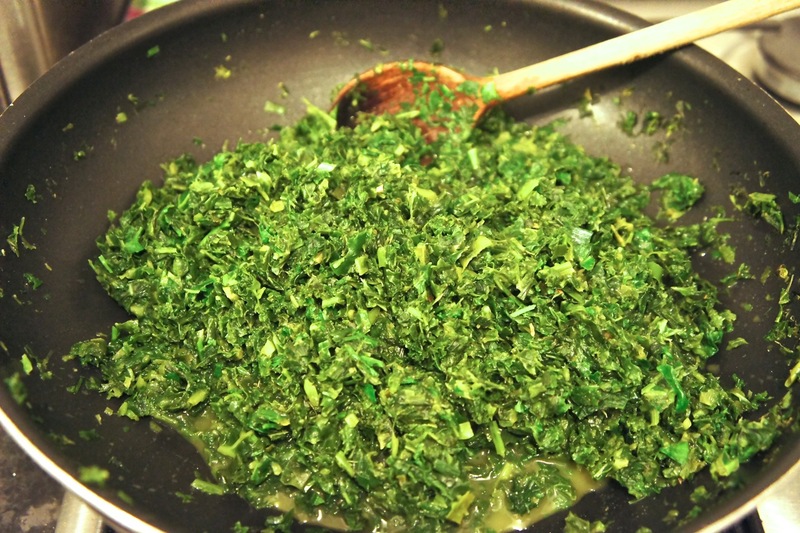 Then the spinach… er… I hesitate to call it a curry because the sauce is quite light, but I suppose that’s what it is – popped back into my mind.